As November approached chefs, cooks, bloggers and BBQers from around the world loaded up their culinary tools and descended upon Kissimmee, Florida for the World Food Championships. After leaving the Jack Daniels World BBQ Championships, we made our way southeast stopping in Georgia for a night, and then continuing on until we made it to Kissimmee. We arrived upon a very humid evening, which unfortunately continued throughout the competition—a shock to our systems after the cool autumns of Missouri and Tennessee. We were some of the first to arrive, with most of the teams checking in a few days later. As Tuesday approached, the check in room was full of excitement. TV waivers were signed, photos were taken and friends were made. We sat back and made a game of trying to guess which category each person was in. BBQ people are easy to spot: most are loud and animated, the same is true for chili cooks who can be spotted with their trademark chili and flame aprons. The other categories are harder but Burger, Sandwich Recipe, Bacon, Dessert, Chef Challenge, Pasta and Seafood were all represented. 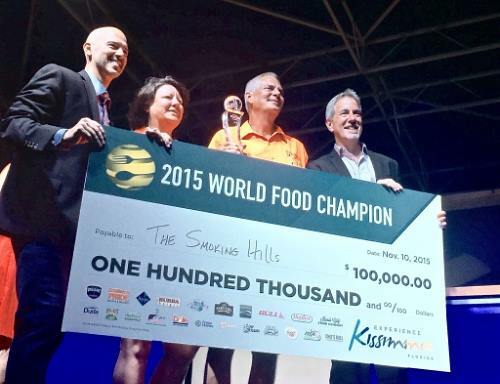 At the end of the week the winner from each category would face off to become the World Food Champion. Wednesday was the official kick off. 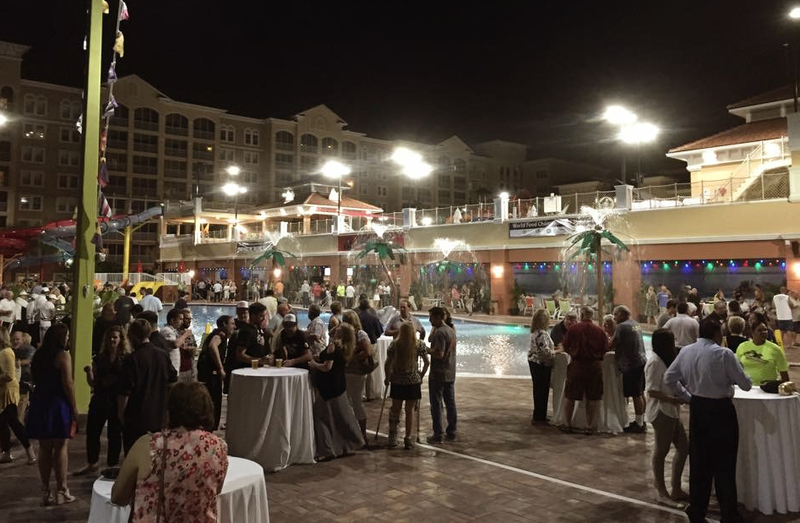 All competitors, judges, and bloggers were invited to the welcome reception which was held at the pool of the sponsoring resort. We met up with our friend Chef John who was also representing GMG and in the recipe category. Mike McCloud made the official kickoff toast and the competition was underway. With so many categories, competitions were taking place hourly. 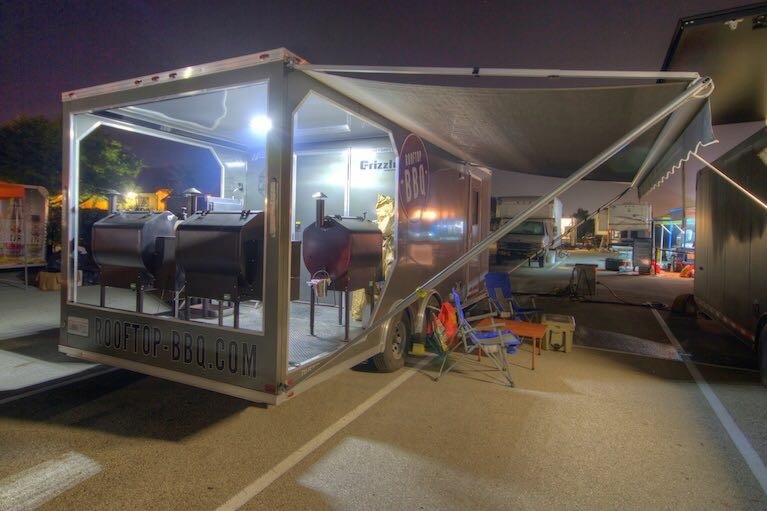 BBQ was held in the resort parking lot while the other competitions took place in the Kitchen Stadium in downtown Celebration, FL. 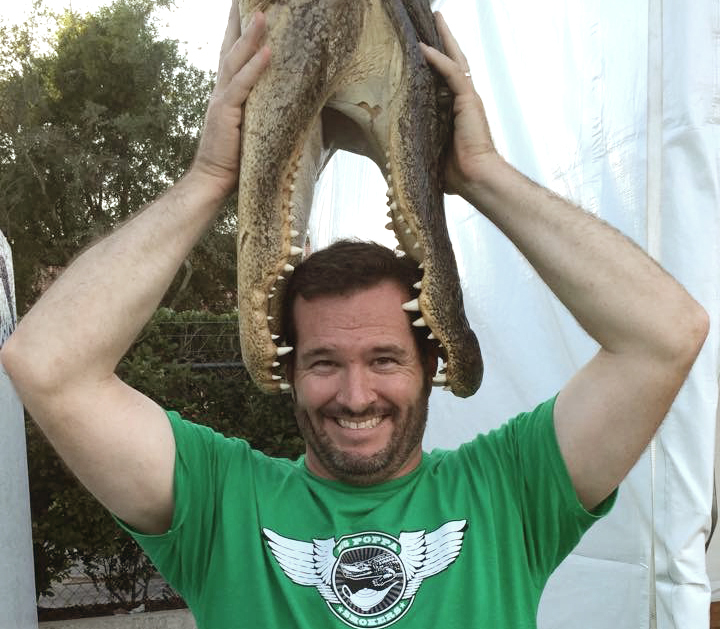 Our first test would end up being the hardest…Gator. I’m not sure if any of you have cooked gator (if so we would love to hear your recipes) but its somewhat of a mix between chicken and fish. 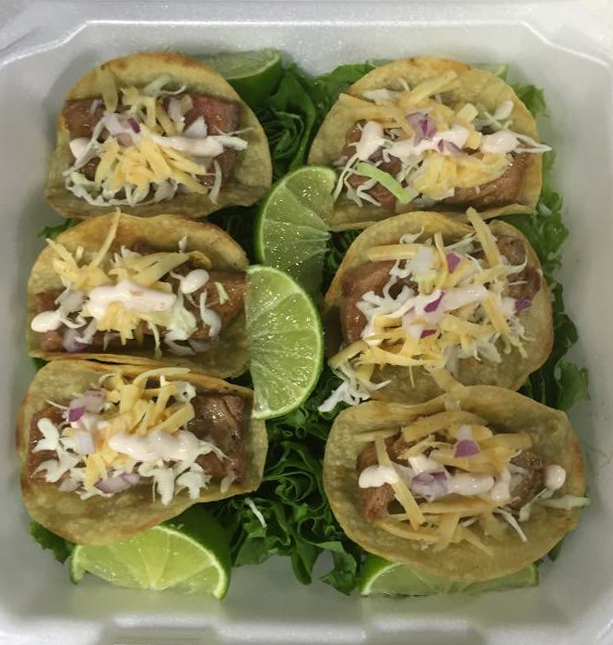 Our approch was gator tacos; we marinaded the alligator in a mojo mix overnight. Then Grilled it on the GMG along with some grilled tortillas and topped it with salsa verde cabbage slaw and a mango salsa. The next category which took place only 30 min after was steak, with all the ingredients right in front of us we went the same route and made steak tacos, topped cabbage and habanero cheese (looking back after receiving our score the habanero cheese though delicious probably wasn’t the best idea as it was too spicy). Friday morning the real competition was underway. We spent the morning cleaning the grills and prepping the brisket and pork. The great thing about BBQ competitions is between the stress and hard work is a lot of downtime. We took a quick dip in the pool to cool off from the 99 degrees temps plus humidity, returning to the cook site when the sun set and the weather became bearable. The big meats, pork and brisket went on the GMGs at 2 am Friday night with the smoke turning them into magic overnight. Ribs and Chicken took their place in the morning and all went to plan as the sun rose and temps climbed… the AC in the new trailer was a life saver. We made it through the heat wave of the day and took the short trip to Celebration for the awards ceremony. Category after category was called until they got to BBQ towards the end of the night. We were thrilled to hear we made 6th in chicken and continued our run with an 8th in brisket. 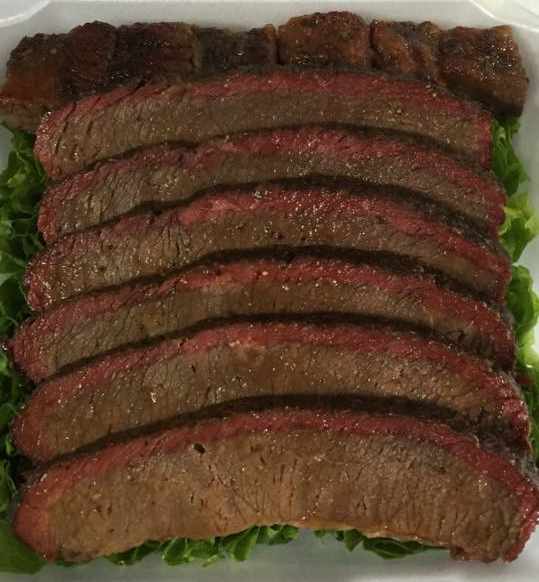 Happy to hear our friend Smokin’ Hills get called for Grand Champion, and to later find out that they won the WHOLE thing… BBQ truly is America’s food betting out all the other categories, and our friends walking away with 100,000 dollars. Food Sport is growing every year and GMG is right in the mix.